Content that includes sermons, published articles, documents, and audio and video recordings. A new, and advanced search engine which provides enhanced access to the archive for use by scholars, clergy, researchers, students and the wider community. The new search engine now enables a user to search the archive using subject words within published material. The site also contains newly transcribed audio recordings and over 180 of Rabbi Schulweis’ poems may now be searched, retrieved, displayed, and downloaded. Titles of audio and video recordings can also be searched to retrieve and play back those recordings. The website includes biographical information about Rabbi Schulweis’ life and achievements, his visions of how Judaism can improve our world for present and future generations, and over eight hours of video interviews with Rabbi Ed Feinstein, Senior Rabbi at Valley Beth Shalom. 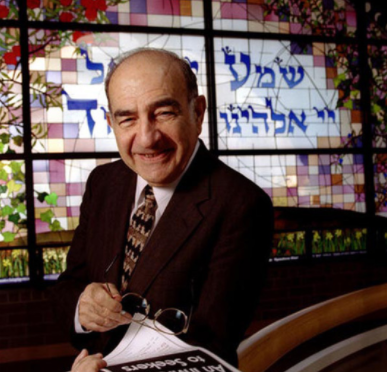 Also presented on the web site is information about the many innovative programs that are supported by the Institute as part of Rabbi Schulweis’ living legacy. In order to fulfill its mission to share Rabbi Schulweis’ humanitarian and moral vision for Jewish life and learning, the Institute will continue to bring new content to the archive, including the recent discoveries of over 100 audio recordings and previously unreleased and unpublished works authored by the Rabbi. To receive ongoing updates on archive additions as well as information on new programs supported by the Institute, please provide your email address in the “Stay Up to Date” area at the bottom of this page.